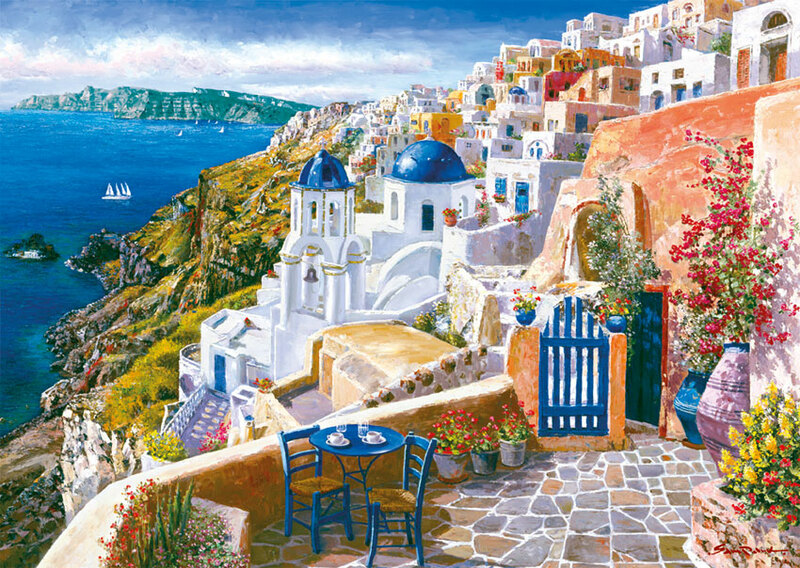 Santorini Puzzle. . HD Wallpaper and background images in the Greece club tagged: greece santorini puzzle painting. This Greece photo might contain resort, resort hotel, holiday resort, villa, and villa.